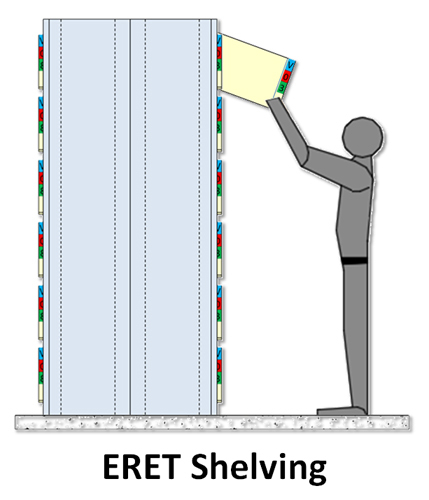 Our REA cool room shelving racks are manufactured with the highest quality high-impact plastic. They are finding their way all across the world to market sectors with a requirement for hygienic storage. 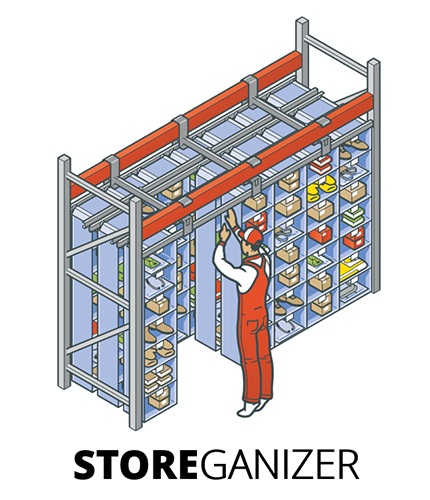 The cool room shelving is suitable for usage with food, it is easy to clean and does not corrode. 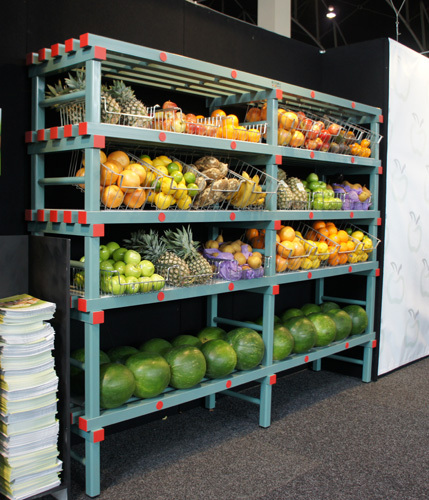 Thus, REA’s plastic storage systems are perfectly matched with the HACCP guidelines. Functional – The material is light-weight, yet very strong and stable. 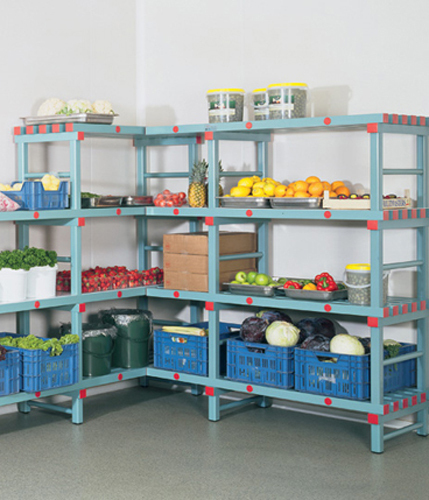 Our cool room racking is available in three models; the Nautical, the Euro and the Gastro rack. Each model in the series possesses REA’s renowned strength, reliability and durability and each variant is available in a range of sizes for maximum convenience. Installation is simple and straightforward and each cool room rack is composed of splinter-free, rounded edge shelves that help protect against unwanted damage to items and packaging. 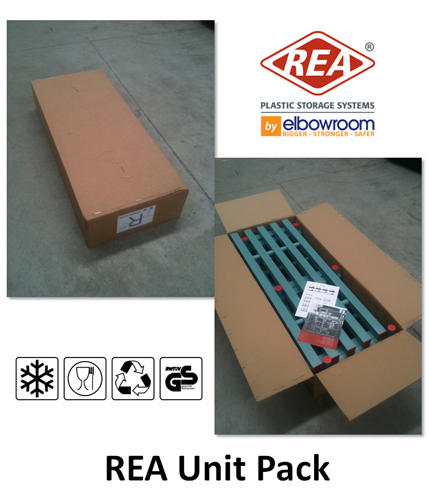 The ability to quickly and easily customise the racking, coupled with the outstanding longevity, make our REA cool room racks an indispensable addition to any operation that requires high quality food storage solutions. 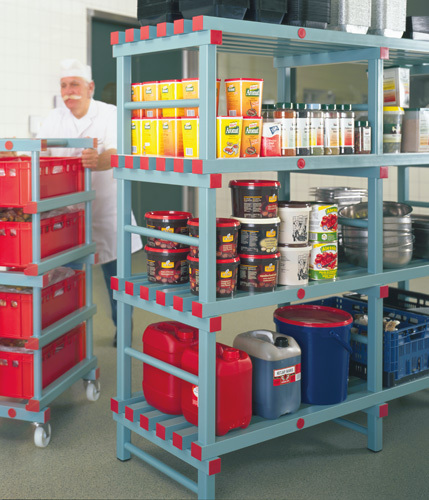 Our range of plate, container and clearing trolleys are widely used throughout the hospitality industry to store all manner of culinary items such as baskets, dishes, trays, plateaus etc. The trolleys are available in two models that support the the Euronorm and Gastronorm container and dish formats respectively. Additionally, other sizes of trolley are also available to suit different formats. All trolleys are manufactured to the same high standards that REA is famous for and are built to withstand the rigours of constant use that is typical of all hospitality environments. All REA cool room work tables can be tailored to your exact specifications, with the option to add wheels for extra portability, as well as a plastic work surface. All tables can be fitted with a variety of customised shelving directly beneath the table top, for added convenience. As with all REA cool room products, the work tables are made from high quality, non-corrosive plastic that is compliant with all HACCP regulations. Various designs to suit specific industries – Café, Bakery, Meat, Deli, Poultry, Dairy, Frozen Foods, Dry Store, Fresh Produce, Food-Preparation, etc.